The verbal pivot on which swings the question, “Does the Bible teach the doctrine of Endless Punishment?” is the word aiõn and its derivatives and reduplications. The verbal pivot on which swings the question, “Does the Bible teach the doctrine of Endless Punishment?” is the word aiõn and its derivatives and reduplications. 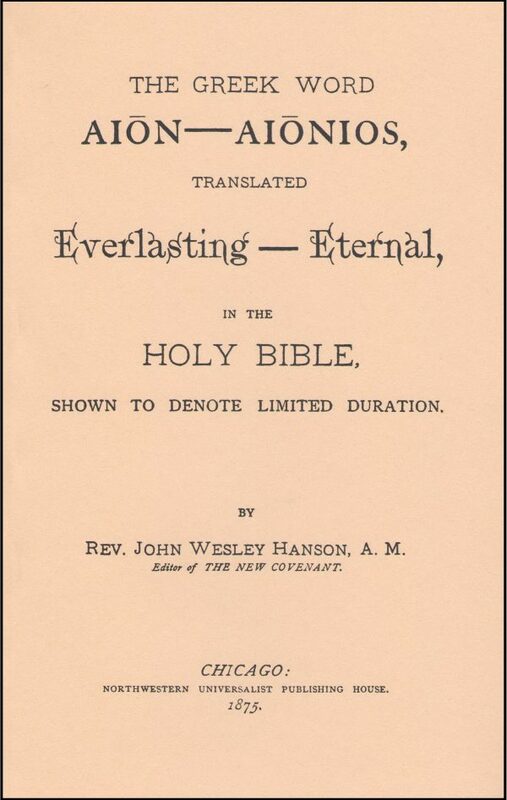 The author of this treatise has endeavored to put within brief compass the essential facts pertaining to the history and use of the word, and he thinks he has conclusively shown that it affords no support whatever to the erroneous doctrine. Reprint of the 1875 edition.